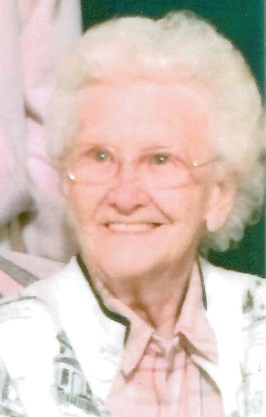 Alice Marie Fuchs Pannett, 94, passed away November 30, 2018 at her home. She was born in Troy, Indiana on December 23, 1923 to the late Carl and Marie May (Kessens) Fuchs. Also preceding her in death were her sisters, Mildred Boehm and Carolyn Adkins and brothers, Carl “June” Fuchs and Erwin “Bud” Fuchs. Alice retired from General Electric where she had worked for 40 years. She was a member of St. Paul Catholic Church. Surviving are her sons, Clarence, Robert and Ronnie Pannett, all of Tell City; a sister, Mary Francis “Pudy” Hearst, Tell City; a brother, Ralph Fuchs, Tell City; six grandchildren, Craig Pannett (Vicki) and Todd Pannett (Dana), Niki Fryou (Mark), Nicholas Pannett, Ronica Jarboe (Greg) and Wesley Pannett; ten great grandchildren. Alice’s family would like to thank Perry County Memorial Hospital and Dr. Park, along with Dr. Marcrum and his staff. Also, the staff and caregivers at Asera Care Hospice for their committed and dedicated care for Alice. Per Alice’s wishes there will be no services.